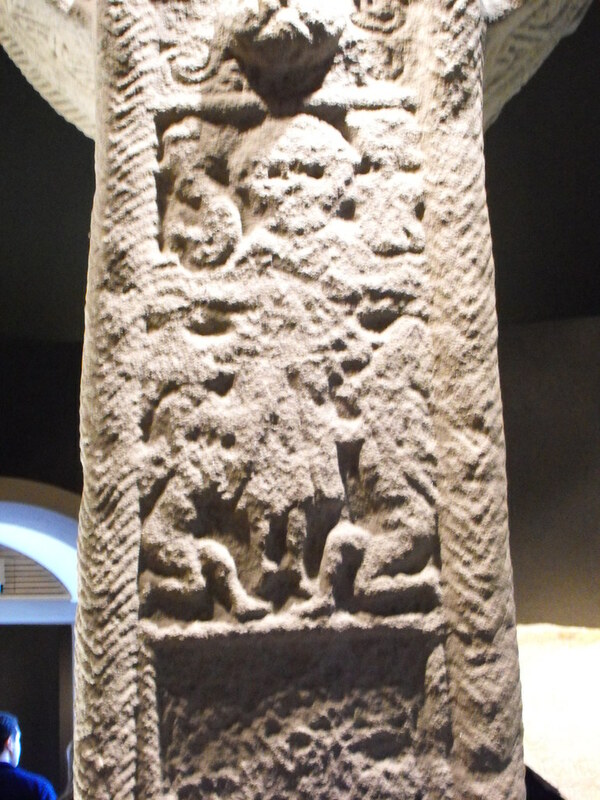 The Standing Stone: The South Cross, Clonmacnoise, Co. Offaly. 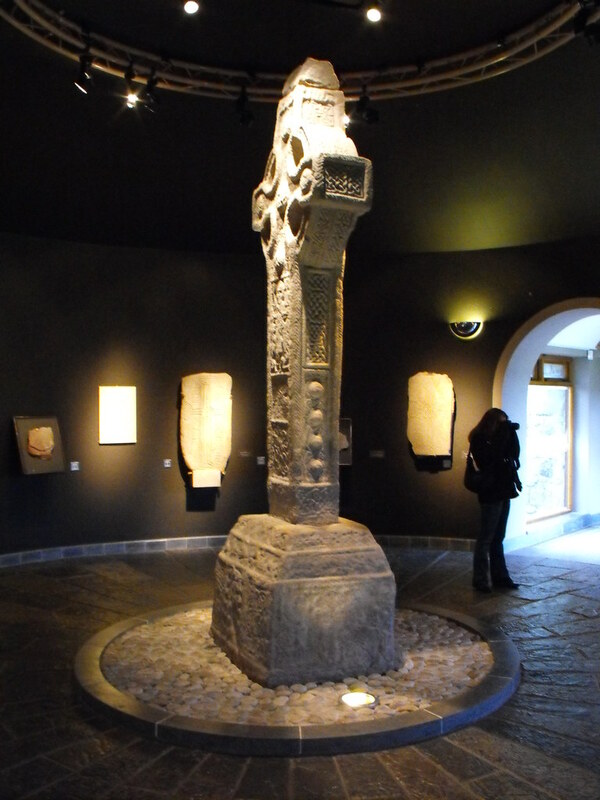 The South Cross, Clonmacnoise, Co. Offaly. Location – In the visitors centre. 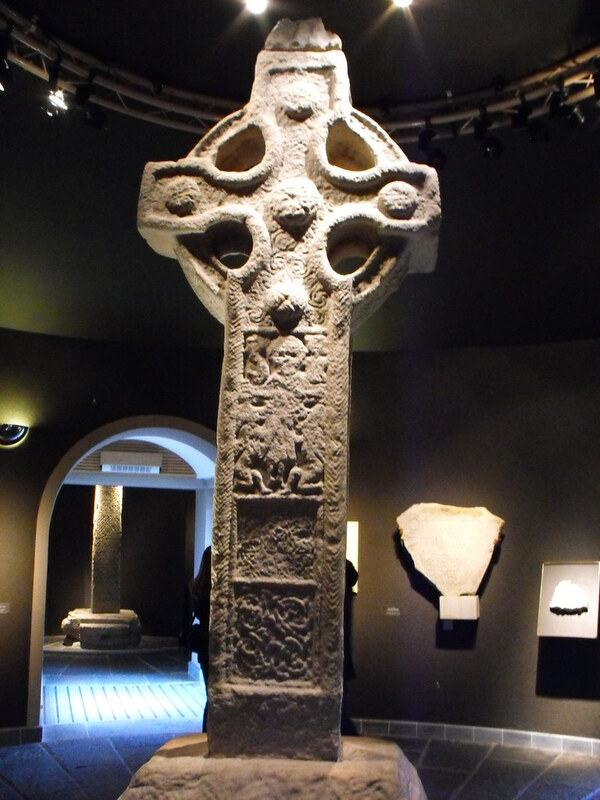 Description and History – When I look back at the pictures for this cross I realise just how beautiful it is and I cannot believe how few pictures I took of it. I will have to add this to my list of things to re-photograph. You meet this cross after the Cross of the Scriptures so it probably looks a little plain in comparison. They should probably start you off with the North cross and work up to the ‘Scriptures’ cross so that you are not disappointed by the latter two. 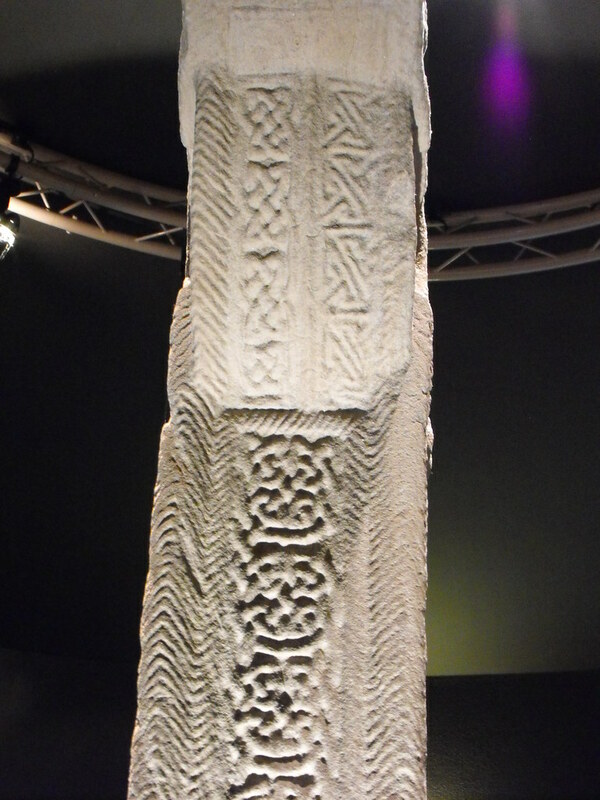 This cross is much simpler than the ‘Scriptures’ cross and consists of a simple ringed cross design with interlacing patterns with spirals and many bosses which betray its influence from earlier metal and wooden cross making. 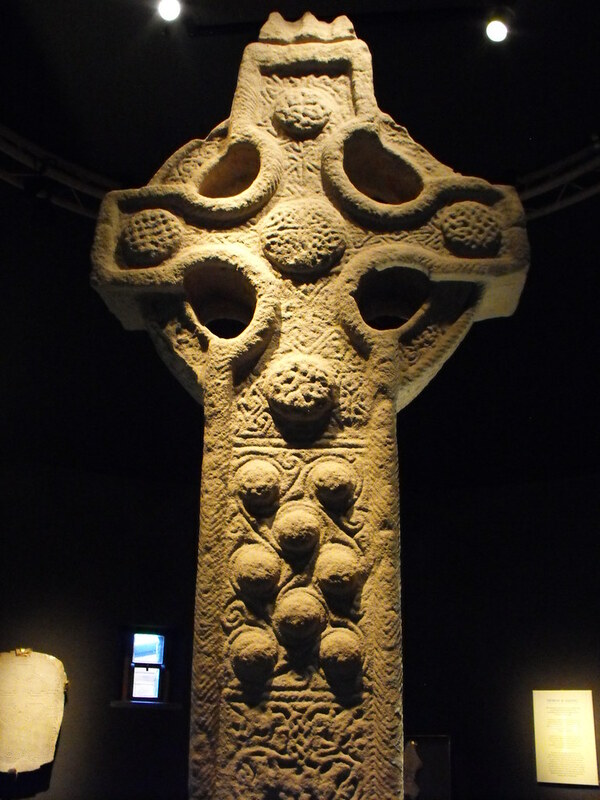 This cross is similar to the ‘Ahenny Crosses’ in its design. It probably dates to the early 9th century. This is a real gem. Difficulty – This could not be easier as it is located in the visitor’s centre.